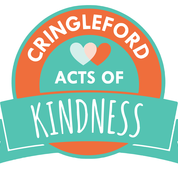 Cringleford Hub’s mission to unite the new community has led organisers to launch a year-long Acts of Kindness project in 2019 – and they’re appealing for your votes. Organisers are urging residents to vote for the project in the Aviva Community Fund 2018 scheme at www.avivacommunityfund.co.uk/voting/campaign/getinvolved before the November 20 closing date. Funding from the Aviva scheme would help create a “pledge register” for the Acts of Kindness, publicise the project and buy items for craft activities, gifts and props to take out to local organisations. “Cringleford Hub’s story has grown out of the conviction that people can have a real and beneficial impact on the communities where they live and work and beyond, with practical and committed loving service,” the spokesman added. The hub currently runs a community café, a weekly toddlers’ group, a children’s film group, in conjunction with Cringleford Parish Council; a weekly worship group, and community events from picnics to art trails. This entry was posted in Eaton & Cringleford, Home Page and tagged Acts of Kindness, Aviva Community Fund, Cringleford Hub on November 16, 2018 by Gay Webster.